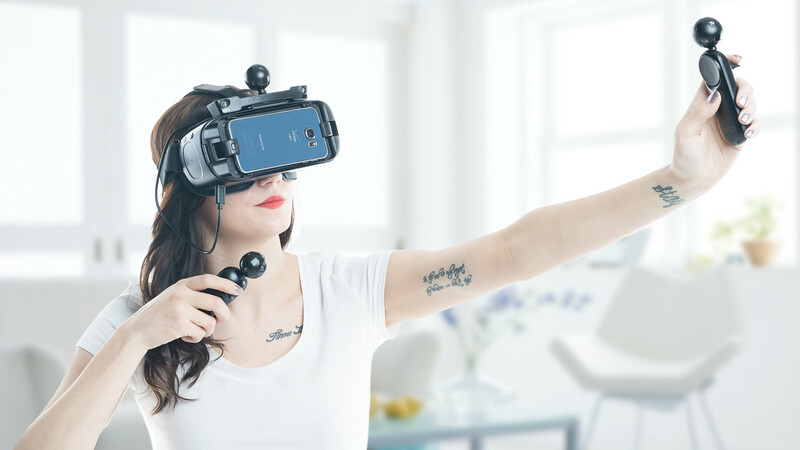 Nolo VR, the China-based company behind the 6DOF mobile tracking system Nolo CV1, today announced they have successfully completed a $10 million Series A financing round. The Series A was led by the Menlo Park-based BlueRun Ventures, and included Nigeria-based Lotus Capital. Previously, Nolo VR had secured financing from Lotus Capital and Galileo Capital. With the funding, Nolo VR says they will “continue to optimize the software, hardware, and content platforms,” and will also soon release their own 6DOF mobile VR app platform, dubbed Nolo Home. 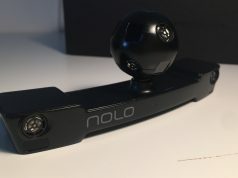 Nolo CV1, which launched in July 2017 for $200 after a successful Kickstarter, includes an optical sensor base station, two optically-tracked controllers featuring touchpad-input, and a similarly-tracked marker intended to attach to the top of the headset, giving otherwise 3DOF headsets a measure of 6DOF tracking. The system also allows you to play SteamVR games, provided you download a software called RiftCat for mobile headsets such as Samsung Gear VR or Google Cardboard. Global VR/AR hardware vendors that either support, or use Nolo CV1 for 6DOF tracking include devices from Deepoon, PiMax, Pico, Nibiru, AntVR and Carl Zeiss. AntVR’s inside-out tracking for its Mix AR headset is provided by Nolo CV1. I wish Nolo would work with the Samsung Odyssey. I loved the upgraded visuals of the Odyssey but the controller tracking was a significant downgrade. I’d consider it IF it came with lighthouse emitters and controllers. As it stands, Vive Pro is greatly overpriced. You don’t think the same would be true for the Samsung Odyssey if they had Vive-level tracking? No, i don’t. The complete Vive Pro package with lightnouse 1.0 is $1300. That’s $800 more than Samsung Odyssey. Lighthouse is nice..but it’s not an $800 upgrade by any stretch. If OpenXR was ready we could mix and match hardware at will. I think VR adoption rates will grow in leaps and bounds when consumers have more choices. You are forgetting the fact that the Vive has the receivers on the headset that you would have to put on the the Odyssey increasing the price of the headset to far more than 500$ dollars. Perhaps even 1000$. Who knows? I’m hearing a lot of mixed reviews about the controllers. Some say it’s great as long as your hands are in front or even by your side. Others say it’s sketchy. I’ve seen videos that seemed like it works pretty well. I owned an Odyssey and sold it. The tracking is sketchy :) It fails overhead, close to your face, at sides and over your shoulders. I play several archery games and it was an exercise in frustration. Hmmmmm….wonder if it would work with an Oculus Go? That would be interesting.